How was your Easter? I spend as much time with my family as I could and it was a blast. And... I have exciting news, I'm going to Paris! Isn't that amazing?! I can't wait to finally go to the city of fashion (and Love off course). The only time I went to Paris was because we were going to Disneyland, so as you can guess I need your help! Can you guys give me some tips, what places I definitely need to visit, were I definitely have to eat something and that kind of stuff.. Every tip is welcome! I want to wander the streets of Paris in style, so I collected some of my favorite Parisian street style outfits! Wow very chic! So gorgeous! That's really sweet of you! I think I'll have an awesome time, I'll let you know and I'm gonna check out your site! Me too! Love how classy the outfit is! If you have time go to Monet's house. Its absolutely gorgeous. If all the flowers are bloomed, the gardens are just gorgeous. But if I am not mistaken it could be outside of Paris. I can't remember. Wow I love all of those outfits! 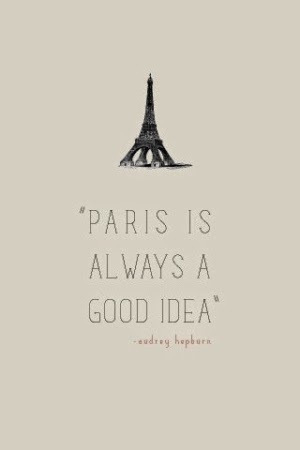 :) That's amazing you're going to Paris! I bet you will love it. My fashion advice for you is to branch out of your comfort zone. Enjoy being in such a couture location and go all out when it comes to clothes! I hope so! Gonna check it out! Amazing selection.... super stylish women!!!!! I so wanna go to PARIS! Me too! I'm so thrilled I finally can! Super jealous...Paris is my dream! I hope you have an amazing time..love the street style!